Applications from -40 to 185°F (-40 to 85°C). ±1.0°F (±0.5°C) for 14 to 185°F (-10 to 85°C). ±3.6°F (±2°C) for -40 to 14°F (-40 to -10°C). Probe size: 0.24x1.1" (6x30 mm). Length: 3.28 feet (1 meter). Each E-T1W-1M counts as a single reading sensor. 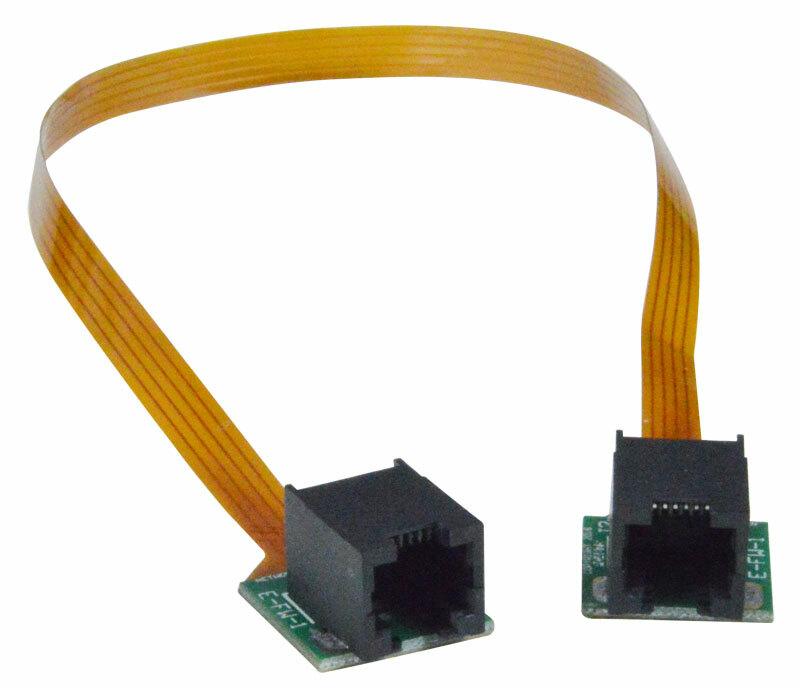 Up to 24 Temperature sensors can be used with the E-1W. IP67-rated water and dust protection. Use to measure the temperature of objects in a refrigerator or freezer. Readings represent the temperature of the refrigerator/freezer's contents rather than the ambient air temperature. Buffers any momentary fluctuations that may cause false alarms, such as doors opening, defrost cycles and fans circulating air. Applications from -40 to 158°F (-40 to 70°C). ±1.0°F (±0.5°C) for 14 to 158°F (-10 to 70°C). Dimensions WxH (in): 1.38x2.81 (35x71 mm). Cable length: 3.28 feet (1 meter). Each E-T1WGB-1M counts as a single reading sensor. Ideal for a wide range of applications including monitoring the temperature of biologics, drugs, and vaccines in pharmacies, medical offices, hospitals, and laboratories; and food temperature in cold storage. 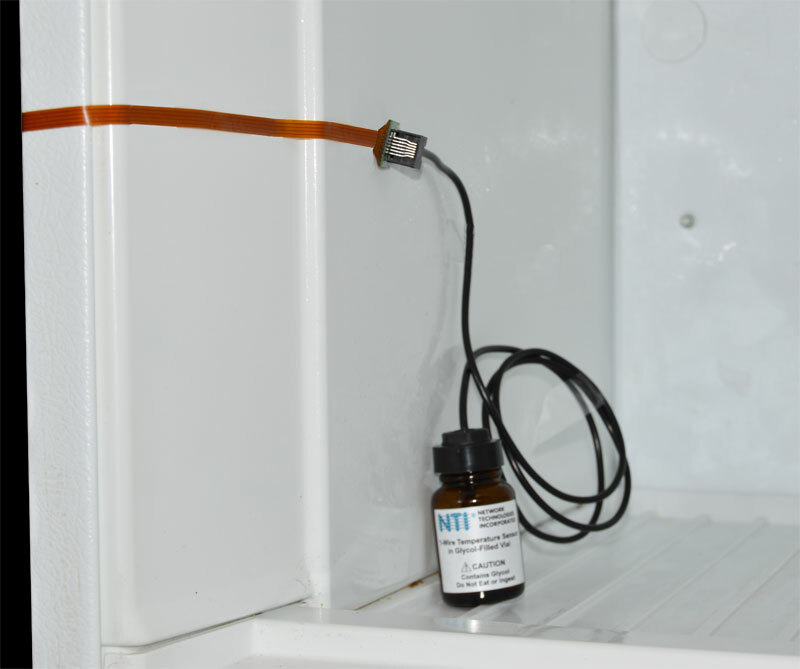 Use E-FW-1 flex wire to connect E-T1WGB-1M to E-1W without interfering with the refrigerator/freezer seal. Applications from -40 to 140°F (-40 to 60°C) and 0 to 90% relative humidity. ±0.90°F (±0.50°C) for -40 to 14°F (-40 to -10°C). ±0.72°F (±0.40°C) for 14 to 140°F (-10 to 60°C). Each E-TH1W-7 counts as 3 single reading sensors. Up to 8 E-TH1W-7 sensors can be used with the E-1W if measuring temperature, humidity and dew point. Up to 12 E-TH1W-7 sensors can be used with the E-1W if dew point measurement is not used.